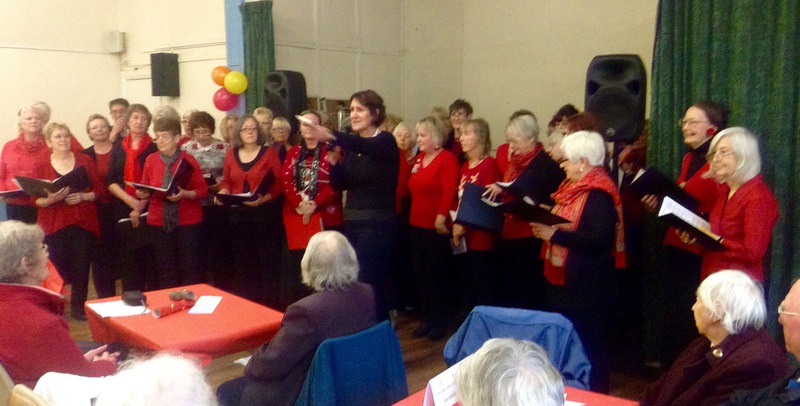 This women only group meets every Tuesday in term times in the Catholic Church hall in Brixham. 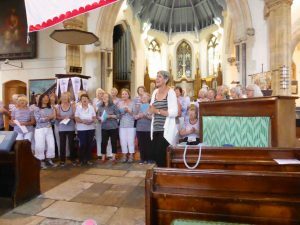 We sing songs in 3 and 4 part harmony and rounds from around the world with a break in the middle to meet choir members and have a cuppa. 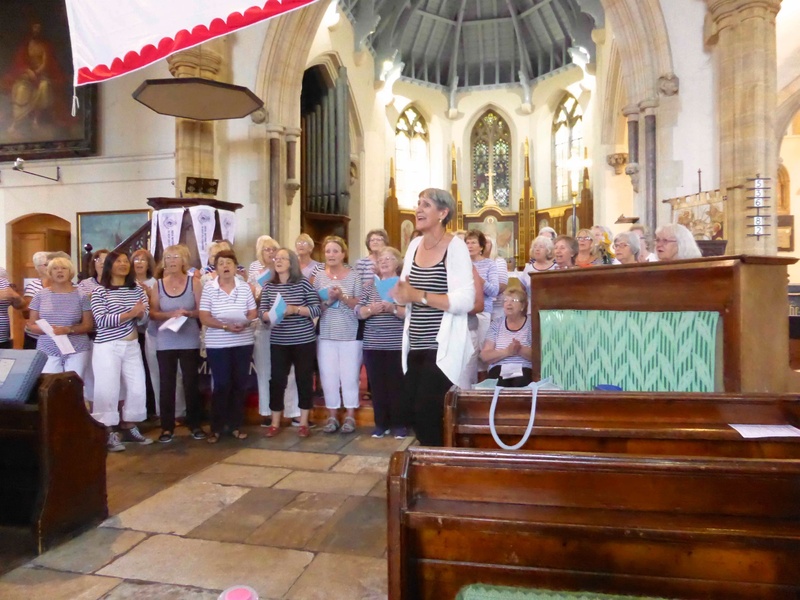 This friendly choir numbers around 30-40 singers each week and welcomes new singers– you don’t need to sight read or audition. We perform a couple of times a year which is optional- the photo above is from the annual Festival of the Sea in Brixham and the one below is at a Christmas Fair. cost: £5 including refreshments. Summer term starts on April 23rd.